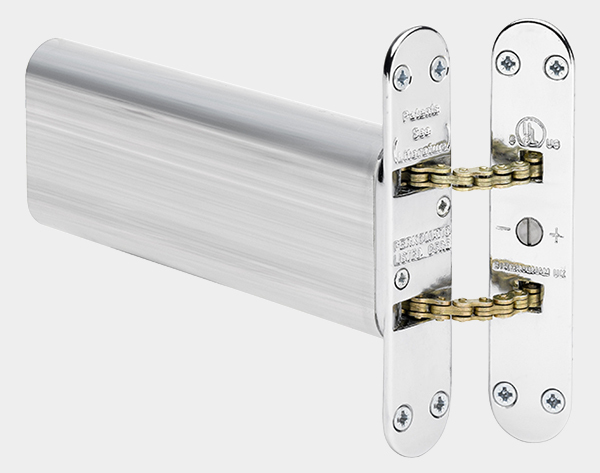 Perko is the original concealed door closer, offering an economic means of providing automatic closing. 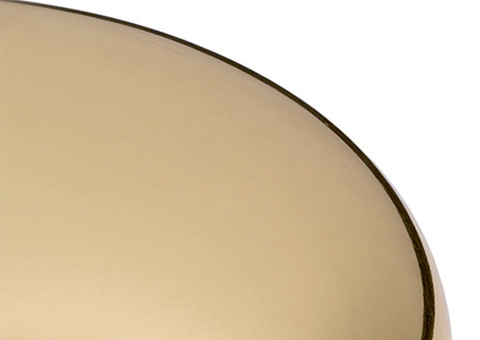 Perko is suitable for internal doors up to 50kg/110lbs in weight in light to medium use applications. Solid brass round anchor plates, lacquered mechanism housing and precision-engineered chain add to the appeal of Perko. Supplied with fixing screws and full fitting instructions. The Perko R1 model features round face plates. For rectangular face plates see our Perko R2 model. 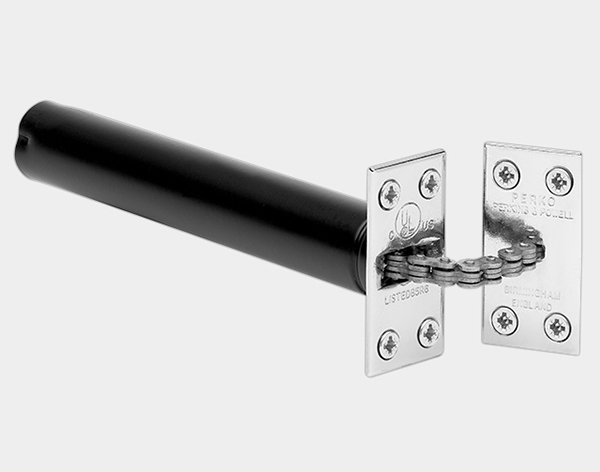 A Perko R21 ‘extended’ version with rectangular face plates is also available for use with projection and parliament hinges. 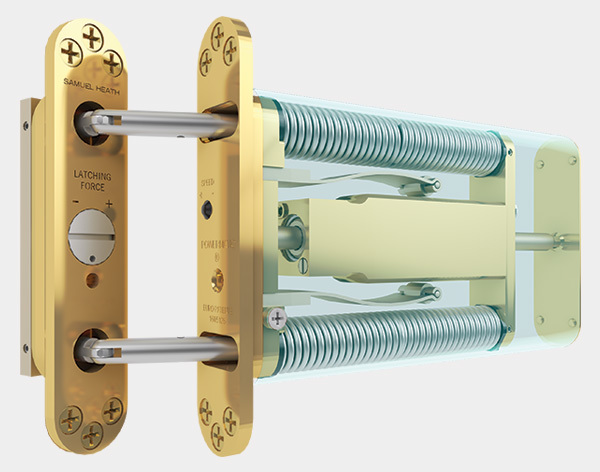 Fire test and product information for Perko door closers can be obtained from the downloads section on the right hand side of this page. 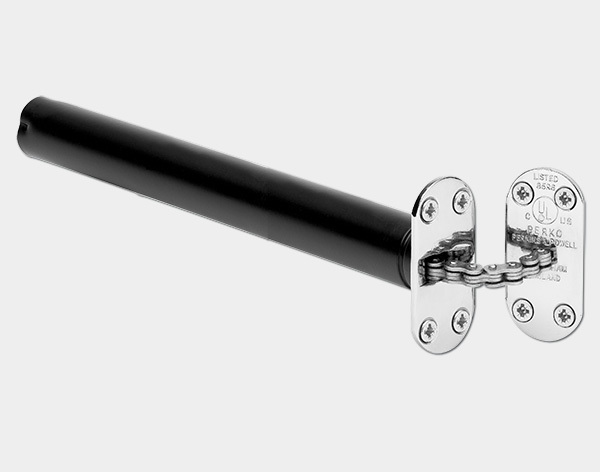 When selecting door closers, and other products, for use on fire doors you should apprise yourself of the relevant legislation, regulations and performance criteria applicable to the region of use. In the United Kingdom and Europe, products intended for use on fire doors must carry the CE mark. Where door closers are concerned, currently, this means that only controlled door closing devices can be used. CE marking of uncontrolled devices is not currently available as the necessary harmonised European standard has not been published.